Among many popular tabletop games that have made their way to the mobile market such as Ticket to Ride, Magic the Gathering and several others, it was about time that Splendor came to mobile as well. Splendor is played rather simply. With four brown, red, green, blue and white jewel tokens available, each player starts off collecting permanent jewel cards. As the players collect more basic jewel cards, they begin to move further up the purchasing ladder. As the permanent jewel cards become more expensive, they offer victory points. The first player to reach 15 victory points wins the game. 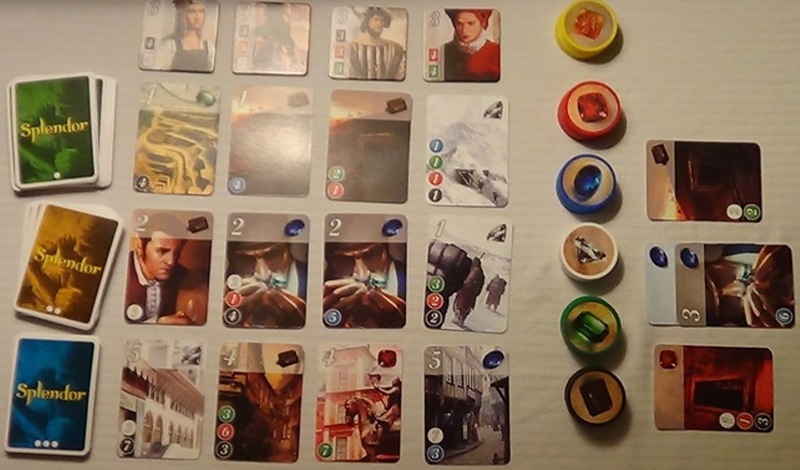 Although Splendor seems simple to learn, it becomes rather tricky as more players enter the game. With up to four players, it is up to you to stake out the board and see where other players are in terms of jewels and life. If you notice an opposing player stocking up a particular number of certain colored jewels to buy a card on the table, you are able to utilize your turn to reserve that card, leaving the opposing player unable to purchase it. Instead, you yourself will eventually have to purchase the card you just claimed. One downside to the virtual version of Splendor is the easy-to-buy highlight system that the iOS game encompasses. Once cards are available for purchase, they will be highlighted green once it is your turn. This can force a player to make desperate purchases for cards that can otherwise destroy their strategy. For instance, it is wise to rank in order of which colored jewels are most frequently required for the more expensive cards. If you notice a large number of brown jewels are required for more expensive purchases, than you should concentrate on purchasing brown cards. If you notice that you hardly need any white jewel cards, then there is no real need to waste your cards, token and turn purchasing them. With the green highlight system, players are tempted with buying cards because they are simply available, although they are not a necessity towards achieving the main goal. 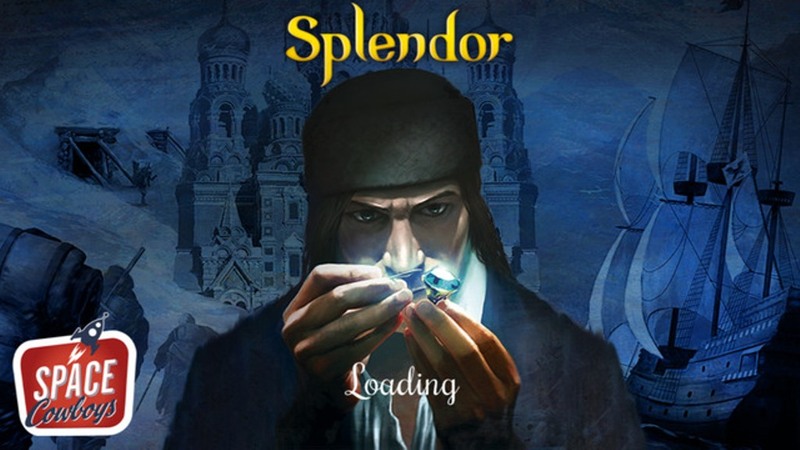 Another negative factor towards the iOS version of Splendor is the lack of multiplayer in gameplay. What makes Splendor so enjoyable is thinking strategically against other players, claiming cards and watching out for yourself. With only competitive AI available, players miss out on the most thrilling component to the overall Splendor experience. Overall, the iOS version of Splendor does a great job at encapsulating the physical version of the game. Although strategy can be somewhat limited with the lack of multiplayer and easy-to-buy feature, it is a generally rewarding mobile experience. Also, the virtual version eliminates the need for other players and its simple style of gameplay works well on mobile. This review was based on a digital copy of Splendor on the Apple App Store for $6.99.